Now what is the voice? Where does it originate? When one hears sound coming out of his mouth, it must be existing somewhere. In truth, sound pervades the universe. God is sound, light, everything. There is a point from which sound issues forth, and from that Creation or Om point evolution starts. It is for this reason, because sound travels and creates various vibrations, that a person should read the holy books whether he understands their meaning or not. The words in the Zoroastrians' Zend Avesta, or in the Hindus' Gita, or in the Muslims' Koran, and in other scriptures, are so arranged that when they are pronounced, the sound created comes very nearly in unison with the Universal Voice or the Universal Sound, and is a great help in influencing a person spiritually. Because I said a thing once, does that mean a law has been laid down for all time? You are profoundly mistaken if you think so. The realisation of the Supreme Being (Paramatma) as our own self is the realisation of Truth. The universe is the outcome of imagination. Then why try to get a superficial knowledge of the imaginative universe, rather than acquire the knowledge of self (Truth)? What is knowledge? Knowledge means the experience of Paramatma (Dnyan) - the knowledge of the highest that our soul, which is everlasting, gets of the Supreme Being, i.e., Self-realisation. What is the universal understanding? It is called Vishva Dnyan, or the knowledge of the universe with which one comes down after realisation of Paramatma (Dnyan), i.e. knowledge of God and the Nirvikalpa state. That is to say, knowledge equals experience plus universal understanding, or perfect knowledge of that experience. Meaning again that he who acquires knowledge must necessarily acquire experience, and then again, he must have a perfect knowledge of that experience. Otherwise, those who acquire experience and remain in that Nirvikalpa state (the state of Ananta Ananda or everlasting bliss) are called Majzoobs. Although they are all-knowing and perfect in every way, they are unable to do anything for, or give salvation to, the world. In short, the experience of the state of the Supreme Being (God) is the real state. Now let us see what this experience is that one gets before acquiring the real knowledge. The Sadgurus or Realised ones take those to whom they are to give this experience through the seven planes absolutely in the dark - either with bandages around their eyes, or with their eyes closed. That is, those to whom the Sadguru gives the experience have no knowledge of these seven planes. They are quite ignorant of that knowledge, though they have already crossed all these seven planes. It is for this reason that when the candidate for this experience is let off by the Sadguru just below the seventh plane, his state is unimaginable and indescribable. It is as if an unexpected current of millions of candlepower of electric light enters or dissolves his Subtle body. He is amazed and stupefied at this new experience. Then, before he can properly think of his new, unimaginably wonderful experience, he suddenly acquires the Nirvikalpa state, where he himself becomes one with the Ananta Ananda or eternal bliss. But it is useless to realise all this without personal experience. One may listen to years of explanations, or read volume after volume, but one would not get even a glimpse of an idea - a shadow of a shadow - of the real experience, without experiencing it personally. Such a perfect state is attained by one out of millions, and that too, only by the grace of a Sadguru. To talk about this knowledge and experience without acquiring it - to realise it only through philosophy or the superficial knowledge of religion - is utter folly - humbug, pure and simple. My explanations are quite, quite different from the scriptures of any religion, and they have nothing to do with the shariat aspect of religion. If we find any illumination in scriptures, it is in the Hindu shastras and Vedant. But they too are only a shadow of my explanations. None of the great Masters of the past has given such explanations as I have. They were great Masters, great Prophets, and they Realised so many souls. However, what they gave or left to the world was only shariat - sweet syrup. They only gave internal knowedge (gnosis) to their close disciples, who were very, very few. What they said, and what was written down to make books, was only the knowledge and rules of rituals and ceremonies, appealing to the ordinary minds of the time; while what I give is the explanation of the knowledge that is beyond the scope of ordinary intellect to grasp and understand. Even though these explanations are mere shadows of the real knowledge, they are beyond mind to follow. What I explain is a subject beyond the comprehension of the mind, and that only to those who are prepared to digest it, not to everybody. For all can neither grasp it nor tolerate it, nor even bear to hear it. For example, I say you all are God. Whereas Islam and all other religions claim you are servants of God. I say Muhammad was God incarnate, but the Muhammadans say he was only sent as a messenger. The same is the case with Zarathustra and Christ. I want you to know that all your clapping, bhajan singing, tying of the Parsi kusti, and praying namaz are merely drills. Only take one name of God. Give up anger, lust and greed. This is all that is necessary. But the orthodox section of any religion would blow out my brains if they heard me uttering such words. And I pity them all. Why? Because they are so narrow-minded, so shallow in their vision. I say to you, do not be cowards like them, fearing hell and the anger of God for accepting these truths, which are real truth. The very foundation of all my explanations is sanskaras, which no religion has explained. I have so clearly and logically put it. Nowhere are sanskaras explained so elaborately or so eloquently. To the multitudes he said, 'God is in heaven, try to go there.' And to reach that end, he said to overcome certain temptations and sufferings. To the followers, he said, 'God is everywhere. Try to see him.' And he gave explanations to that effect. To the close circle of apostles, he said, 'God is in me, and in you too,' and actually revealed this to them. Why did Jesus say different things? Owing to the time and the people, according to their readiness to listen and understand. What Jesus meant was to leave all and follow him. That means to know him, see him, experience him. The teachings that are being followed by Christians are not the real teachings Christ gave. The priests have altered his words, added to his teachings and spoiled them. A man from the Punjab met Meher Baba, and asked him if he believed in the Bhagavad Gita. Baba: I not only believe in it, I experience it every moment. Mere intellectual understanding is not sufficient. You may read holy books for the rest of your life, but that will not take you an inch nearer to God if you have no desire to see him, to experience him, or to know him. There is bliss everywhere, and nothing else exists. But people do not know it. It is no use listening to lectures, and learning does not come from books. Direct experience of God is needed. The experience is spontaneous. It is not to be forcibly obtained. Let these matters not be a headache to you. All this is only an explanation. Don't rack your brains over it. Love is supreme, and only love counts. However much you read, hear or understand about spirituality, it does not lead you to knowledge. Knowledge is a totally different thing, and it can only be gained through love - love, pure and steadfast. The study of book knowledge and philosophy merely satisfies the intellect, but it is not all. The real thing is to think of God, to feel God and to experience God. Actual feeling, perception and experience should be gained, for these are real. Intellectual conviction is the first step, and faith is born from it, but there should be continuous progress. There is a vast difference between the intellect and the heart. It would be wonderful if both were used for the highest good, but to have only intellect with a dry heart is of no use. The supremacy of the heart over the intellect is best. Compared to a religious hypocrite, an honest atheist is preferred. Books give only the outer husk. Real knowledge is not derived from books. Real knowledge is the Guru's gift, but it is not given without paying the price of love - loving. Love has great powers, and love is the shortest and easiest path to Self-realisation. Only through love can Realisation be attained. ... There is bound to occur misunderstanding through misrepresentation of facts recollected and written down by a third person - especially if reproduced by another not directly involved in the conversation that has taken place. Q. I have come to ask to develop the divine within. I feel I cannot achieve it alone, without help. Baba: You will... by my help. Never be disheartened. It is all within, and I will help you to open it. I am so happy to see you longing for spiritual attainment. Q. I do not know anything but this, and I ask for nothing else. Baba: I am so happy to know this. Q. How can spirituality be attained? Baba: It can be attained, not by the intellect, but by heart and feeling and inner experience. I would explain for hours, but that would be nothing compared to one second of my internal help. and I am part of the infinite. This will contact you more and more with me internally. 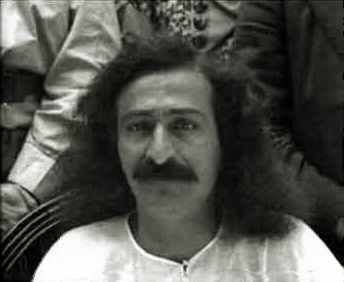 An architect came to see Meher Baba. Q. I cannot ask anything. I am so perplexed. Baba: And it is a pity I have not much time, because when one comes, I must explain. But for that I must have time. Anyway, you can ask. I would like to make you sit here and think of questions. Q. But it makes it so awkward for you. Baba: Never mind, go on. Q. I am very anxious to find something real that we have to think of and do. Baba: And that something is the only thing worth having. I will help you spiritually. Q. Can I have that? Baba: Yes, I know. You can. It is not through words or explanations that it can be explained. It is within you. It is to be opened. I will do it. Q. In New York I saw some of your people, who made me think and feel I must have something else to seek, and for that, I do try to see that reality. Baba: And when you find it, you can experience (higher) things even while being in your worldly affairs. And rest assured that I will help you. I can help you. Q. I understand very well. I realise and believe it. I thank you very much for all that you have given me already, and am sure I will be helped. The secrets of life are absolutely unintelligible to the human mind. That is why they are never revealed as they are, but in different methods and shapes. My work is worldwide, hence I have to come into contact with all kinds of people, all religions, and all countries, in the East as well as in the West. And while working with them, I have to be very careful to consider the feelings and impression created on all who come in my contact, especially of those whom I want to work for me, immediately at the moment, or later on in the future. If I don't do that, none would come in, or would be induced or persuaded to do the work as I want him or her to do. And in the great scheme of a worldwide campaign, I require men and women of all castes, creeds, cults and denominations in life, from the poorest peasant to the richest Rockefeller, each to fit in for a particular type of work in his or her class or community, according as I find the person willing and inclined. Thus there would be Hindus and Muhammadans, Parsis and Christians, Easterners and Westerners, each with certain tendencies, temperaments, inclinations and fitness or fondness to do a certain type of work. Each has, at the time, certain weaknesses or prejudices, side by side with good qualities, and it is all these things and factors I have to observe and consider if I want a particular person to fit in anywhere for certain work of mine. So whenever a person is introduced or comes in, I overlook - and for a certain period in the beginning, even pamper - his prejudices of caste, creed or religion, and tolerate his other weaknesses in nature and temperament, till he is gradually trained and prepared to give these up one by one, and begins to understand things in a better light and broader angle of vision, to which he is all the while trained through lectures, explanation and talks, and references with others which are really meant for him. It is a very delicate and difficult task, involving so many problems for a number of persons concerned in a particular question. Some have to tolerate and suffer unnecessarily for others, who are thus being trained. Thus if a Hindu comes to see me, I have to look to his caste -- Brahmin, untouchable, etc. -- and talk and deal with him accordingly. Similarly in the case of a Parsi, a Muhammadan or a Christian, I explain things as the person likes the best, pleasing his or her temperament, inclinations, prejudices, etc., so that he will digest what I want to impress on him, and then try to learn to come over and rise above his prejudices gradually. But if I were to teach these spiritual truths from the very beginning, disregarding their human weaknesses and religion or caste prejudices during the preliminary stage of training, none of you would have come in, much less been trained to the discipline and understanding of life as you are now. And there are so many different kinds and types of persons, with hundreds of varieties of weakness and prejudice, which I have to deal with and tackle tactfully and delicately during the first stages, overlooking tolerantly their many faults, even persuading them in spite of their own stupidities and deliberate wrong actions, suffering myself intensely, and at times making others suffer unnecessarily, too, for which they again blame me, get annoyed and upset, etc., so that I have the additional task of explaining to them again why I do certain things at certain times. Thus there are complications always in such a universal work as mine, where so many questions and factors concerning hundreds or thousands at a time are involved, and there are always chances of my actions, words or explanations being misinterpreted or misunderstood, in one place or the other. In trying to please everybody, one pleases nobody. Yet I have to try to please everybody in turns, or on certain occasions simultaneously, through different moves, actions and words as required for certain persons and at certain places. If a lecturer speaks today before a gathering of five hundred, and the same subject is repeated by the five hundred listeners to others, there would be five hundred different interpretations -- some never dreamed of by the speaker. Therefore, what about the teachings of Masters like Jesus, interpreted after him perhaps a thousand times through different interpreters in the past? The original thought is sometimes lost sight of, or made irrelevant, but yet each clings to his own different interpretation of the original. That is why many today hesitate to believe in the Bible and other such books, where interpretations do not appeal to them. There is more of the writers in the Bible than of Jesus Christ. Thus it is that there are always quarrels between fanatic followers of different religions over words and explanations that the Prophets never uttered, but were written in the so-called holy scriptures by over-enthusiastic disciples and priests, which quite naturally creates a revolt in the minds of others. Truth is infinitely simple, and to realise it is naturally also easy. Complications are not natural to unity, because duality is based on complications. Books, philosophies and different terms all lead to confusion and contradiction if not applicable to one's spiritual tendency. God-realisation means living in and with God in every thought and action -- to be so spontaneous as to naturally express divinity through every thought and deed consciously. It is divinely and consciously automatic. to a small group of passengers on the S.S. The naad or celestial music (sound) is peculiar to the first plane, and can be experienced or induced by the mantric force. It is on account of this that even an unintelligent repetition or reading of scriptures is encouraged and advocated. It is not through intellectual exercises and such learning, or knowledge acquired by reading or hearing lectures, that spiritual Truth can be understood. At the most, these can give one an intellectual understanding, which is the first preparatory stage for ushering one into the Path. What is essential is a true inner feeling, an actual experience of the Truth, which is real, lasting and convincing. When one experiences union with God, one knows by actual experience that one is in harmony with everything and everyone, that there is nothing but one infinite indivisible existence, and all else is but fleeting shadows. Q. Is it possible to understand spiritual matters intellectually? Baba: Spiritual doctrines can be stated in intellectual terms. Intellect is a great help in the experience of the heart. If someone who never had a headache asks you to explain it to him, you will try to explain intellectually what it is. But to make him understand it, you would have to hit him over the head. He gets a headache and knows what it is. There is nothing irrational in spirituality. Explanation can be made so practical that it can be lived. In ordinary language, for the masses who follow the shariat and ritual of their religion, so that they can understand. In language both ordinary and mystical, for the few advanced souls. In language wholly mystical for the Circle. Realisation of the self should not be confused with the intellectual understanding of the Divine Theme. Exceptional exercise of the intellect makes one a philosopher, a poet, a scientist or an artist. But Self-realisation is undeniably the special privilege of those who are mad after God. Orthodoxy, whether it be of the Hindu, Muslim Christian, Zoroastrian, Buddhist, or any other church, is tolerable strictly and only up to a certain point, and only at the earlier phases of the evolution of the masses, since it conserves certain dynamic values coming down through tradition. But it must be of the discriminative type, and should not be allowed to degenerate into politics. When orthodoxy denies to itself the spiritual light coming from any quarter, it inevitably reduces itself to a body without the soul, leading to separative ignorance, conflicts and misunderstandings. Loyalty to the incarnated greatness of the past, and the mere possession and knowledge of the traditional lore, is not all that is to be aspired for. It may preserve your individuality as a religious and cultural unit, and make of you a political factor to be reckoned with. But in the spiritual domain, it makes you a nonentity, a tree without its life-giving sap. 1. The church of each organised religion trades in the past, and fights every inch of ground before adjusting itself to the times and the circumstances. 2. The educated delude themselves into thinking that they have done their part, and have laid the whole creation and the Creator under deep gratitude by merely talking on the subject from the purely intellectual point of view. 3. And the masses have a superstitiously mercenary attitude towards saints and spirituality. Their approach to saints is invariably from a material point of view. I have come to give a new understanding of spiritual value and truth to everyone. This truth is unlimited, and cannot be encaged in any dogmas or creeds or religions or sets of beliefs. Inherit this vast truth which is ever-renewing, while I am in your midst. Truth is to be experienced. Intellectual knowledge does not lead to Truth. ... He who would deeply ponder over the truth which I declare shall eventually be initiated into the life eternal. a) To become conversant with the principles of Sufism by reading and studying the literature of Sufi saints, poets and authors such as Hafiz, Jalaluddin, Shams, Inayat Khan, Ibn Arabi, Shibli, Hujwiri, and others. b) To necessarily read and study vigorously the Discourses by Meher Baba and the book by Meher Baba called 'God Speaks' which depicts the ten states of God and other important truths, and which is his last and final book on this subject. The question of details is all the more important when a subject is beyond ordinary human experience. On the one hand, more details confuse one more, and less details explain things less. This gives rise to a variety of terms and expressions for use from differing viewpoints and in different contexts. In the absence of underlying experience, descriptions of the same one thing often sound contradictory. But in the light of relative experiences, or the final realisation of Truth, the very contradictions prove to be complementary expressions about the same one Truth. Each is free to think of me and interpret my work as he feels or understands best. Either my words must be presented as they stand, or if interpreted by you, you must not fail to state it is your own interpretation. If I am what I am, it is all the more natural for you not to be able to understand all that I wish to express, and why I say all that I say. Whatever I have said and have been saying, I was made to say by God. When I say a thing, God makes me say so. The seers of all times have had direct access to the truth about life and death, and they have repeatedly given a suffering and groping humanity useful information on this point. Their explanations are important because they protect man's mind from erroneous and harmful attitudes towards life and death, and prepare him for perception of the truth. Although direct knowledge of truth requires considerable spiritual perception, nevertheless, even correct intellectual understanding of the relationships of life and death plays an important part in restoring mankind to a healthy outlook. "The scriptures are like rotten bones rotted, and are as food for worms. "Theosophy and philosophy are like good bones rotted, and are as food for vultures. "The writings of inspired poets are like fresh bones, and are as food for dogs. "The writings of spiritually advanced saints are like flesh, and are as food for tigers. "The writings by living Perfect Masters are like brain, and are as food for men. "Good bones, when rotted, have some semblance of bone, but rotten bones when rotted are like filth. "So you may go through the scriptures superficially -- only to drive away the barking dogs when necessary; for instance, when you are called upon to answer the queries of the priests and the orthodox." In spite of so many books, such as 'God Speaks,' 'Listen Humanity,' 'Life at its Best,' etc., words remain words. Words and learning will never carry one too far. Those who have love for me need not read anything. Reading is not necessary for those who love... love takes one beyond the intellect and beyond the mind. I have been saying authoritatively to the world that I am the ancient one. Love me. If you love me with all your heart, then you shall be free. In spite of all explanations and reading of books, words remain mere words. They do not take one any further than intellectual satisfaction. Only love for God works the miracle, because love is beyond mind and reason. Where then is the necessity to read? I authoritatively say, I am the Ancient one. I have been saying this to all the world. If you love me with all your heart, you shall be made free eternally. The affairs of the universe continue to go on without being burdensome to me in the least. But the discourses and explanations on the subject of the affairs of the universe are a headache to me. The affairs of the universe continue without my paying special attention to them. They continue to work as naturally as one's breathing, to which one does not have to pay special attention. But when there is exertion, or when one is pressed to give a discourse on breathing, one becomes conscious of the act of breathing. In the same way, when it comes to giving explanations, I feel like one who climbs a hill and becomes breathless. Giving you discourses and explanations is burdensome to me. And as discussions, discourses and explanations are also included in the affairs of the universe, the whole affair becomes more of a burden to me than ever. Playing marbles, gilli-danda, cricket and flying kites are also included in the affairs of the universe; but these unburden the burden. It is like coming down a hill; it is more of a relaxation than exertion. Jokes and humor are also the things which give me relaxation. But whether I am burdened or relaxed makes no difference, for as I really am, I am beyond all this. Meher Baba had a discourse read out. Those who cannot follow this discourse should not worry. Just concentrate on me. Words have no real value. It is good if you can understand. If you do not, why worry? Do not give undue importance to explanations and discourses. Words fail to give any meaning to reality - because when one supposes that one has understood, one has not understood - one is far from understanding anything so far as reality is concerned. Reality is beyond human understanding, for it is beyond reason. Understanding cannot help, because God is beyond understanding. The moment you try to understand God, you misunderstand him; you miss him when you try to understand him. Reason must go before knowledge dawns. 'This is short but difficult. Those who cannot follow it must not worry. It's nothing but words. Only love counts. There are two kinds of knowledge: knowledge gained through intelligence (using the mind), and hidden knowledge (not using the mind). A four year old child has to be shown a picture of a table and chair with a word written under the illustration. It is only then that the child can name the objects correctly. On the other hand, an illiterate man knows all about tables and chairs, but does not know how to read and write the words. The moment you try to understand God rather than try to feel Him, you begin to nourish the ego and misunderstand God. God is infinite, and the divine will that brought forth this infinite illusion manifests in its purity through me. Do not try to understand the significance of my actions in the limited context. You see and understand things on your level, and differentiate them in terms of values. I, being unlimited, know all the levels of consciousness and as such, in responding, I differentiate in terms of the states of consciousness - whether most rudimentary or most involved. These states appear like the passing ripples on infinite consciousness. Every moment I respond to the whole creation. Every action of mine gets spontaneously reflected in infinite ways, as per necessity on all the planes of consciousness. So by its very nature and magnanimity, sometimes my responses appear enigmatic. To understand them is to understand the limitations of your understanding. But if, on the other hand, they create confusion instead, it is because of your lukewarm faith, which is not as it should be. When I see you confused, out of my love and compassion I give certain explanations. Thus sometimes you see me 'defending' my actions through explanations, giving certain reasons. This depicts my unlimited strength and your weakness. But remember, even though I go on explaining, which forms a part and parcel of my divine game, the significance will ever remain beyond your limited understanding. The utter simplicity of my game appears to be the most intricate as you try to understand it only through intellect. The more and more you get my sahavas (intimacy) and receive my love with open heart, you begin to understand me more and more. It is also true that the more and more you see Baba, you may feel that you understand me less and less. For with the height of understanding, vast horizons are revealed, and you feel helpless in understanding my game. So leave all doubts, and remember well that whatever I do is for the best. It is the divine response filled with love divine." What can you achieve through talks? Reading also does not help. Any amount of reading or hearing has no value. Real understanding comes in a flash. One may be an intellectual genius, but unless he realises the Truth, his so-called knowledge is nothing but a play of words in ignorance. His interpretations of life and commentaries on Truth can lead you only so far and as much as one blind man leading another. By studying Vedanta, you may become intellectually convinced about such logical deductions as 'I am God' and 'Everyone is God.' But of what avail is such dry knowledge? Love is the way, and it is only the experience of the I-am-God state that solves all questions once and for all. Such an experience is not child's play. Cycles and cycles have to roll on before one becomes eligible to experience the real answer. You have read much of spiritual literature. You are well-known for your lucid expositions. Spiritual understanding takes one nearer the Path, but remember well that the experience of the Path is quite a different matter. The higher states of consciousness can never be imagined through book-knowledge. As one travels the spiritual Path, one comes across varied experiences, such as visions, sweet notes of sound, and delightful scents. In the more advanced stages, one can detachedly watch his body moving about. The many experiences that one has on the Path are not lasting, but the experience in which one becomes what he is in reality is perennial. Then in whatever thoughts or actions such a one may seem to be engaged, maya cannot touch him. In that state, everything is experienced in its infinite intensity. How can spiritual understanding derived from books imagine this state? Intellect is bound to fail to fathom this experience. If you read 'God Speaks' you will know the details about the different states and stages of consciousness. Also, you must bear in mind that mere intellectual understanding has very little value by itself. Whether one understands the details of the Path or not, it is just the same. Only love counts. To learn God is to unlearn yourself. When you are in my sahavas, be fully attentive and receptive to what I say -- but no questioning. Love me and be silent. Pampering of the intellect brings forth innumerable questions. All these questions can be answered, but that is hardly spiritually indispensable. Mere intellectual explanations will not take you out of your internal muddle, but will all the more puzzle you. Very rare persons have the necessary acumen. Try to grasp what I have already stated. The more you love me, the less you question. Love answers all questions, for it ignores questioning itself. If you read 'God Speaks' you will have a wider view of the spiritual panorama of the divine drama, which reveals the secret of creation. The entire creation is a game of love, or 'lila,' which God enjoys at his own cost.